The Deco: Theatre, Conference and Venue Hire in Northampton. The Deco started life as a cinema and after a careful restoration is now a purpose-built multi-use venue. It offers two spacious conference rooms, function rooms or training suites. 3 smaller fully serviced meeting rooms ideal for business meetings, conferences, training and exhibitions. The Deco also features a beautiful Art Deco auditorium which seats up 900 people and regularly features a wide variety of events and shows ideal for all the family. The Deco, set in the heart of Northampton, is easily accessible. It is within walking distance of the train and bus stations and is minutes from the M1 and M6. No matter which of our function or meeting rooms you’re interested in. Our dedicated and experience events team is passionate about making your event in a success by providing ideas and solutions that will provide real benefit ...to your business or private function. 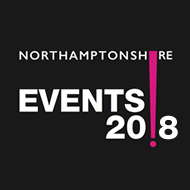 Address: Abington Square, Northampton NN1 4A The Deco: 01604 622749 Box Office: 01604 491005 Contact the box office by telephone Monday to Saturday 10am - 4pm. In person Saturday 10am - 4pm.